Siri is Apple’s digital assistant and the real human that voiced her is named Samantha. Spike Jonze’s thrice Golden Globe nominated Her revolves around the interaction between a guy and a digital artificial intelligence (AI) named “Samantha.” Think that name association is an accident? It’s certainly no accident that the AI Samantha is voiced by Scarlett Johansson. Yeah, smart people make movies. 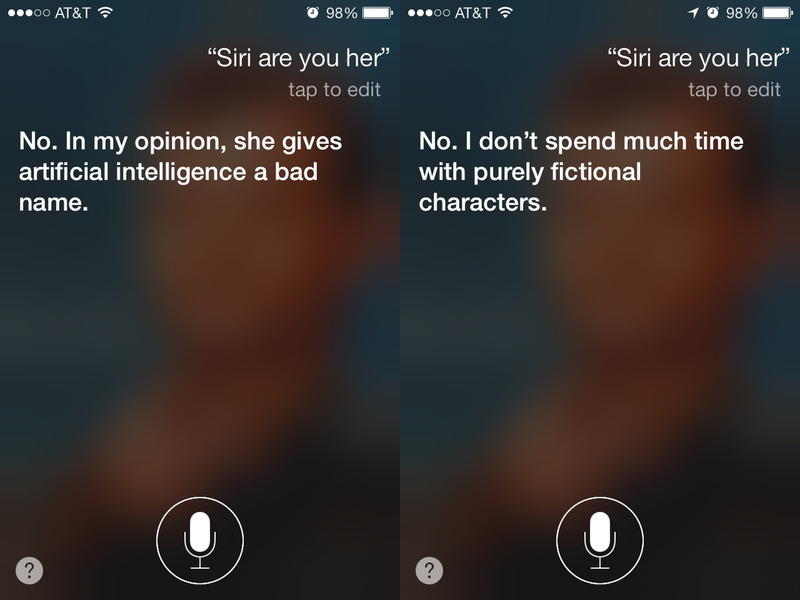 The people behind Siri are pretty smart, too. For example, if you ask Siri if is she is “Her,” she will provide a number of cute, trite and perhaps even jealous responses. A. No. I don’t spend much time with purely fictional characters. A. No. In my opinion, she gives artificial intelligence a bad name. A. No. You know that it’s just a movie, right? A. No. Her portrayal of an intelligent agent is beyond artificial. Q. Siri do you like Theodore Twombly? A. I’d rather not say, __________. Siri is clearly unimpressed by Scarlet Johansson’s “beyond artificial” portrayal of an artificial intelligence in Her. 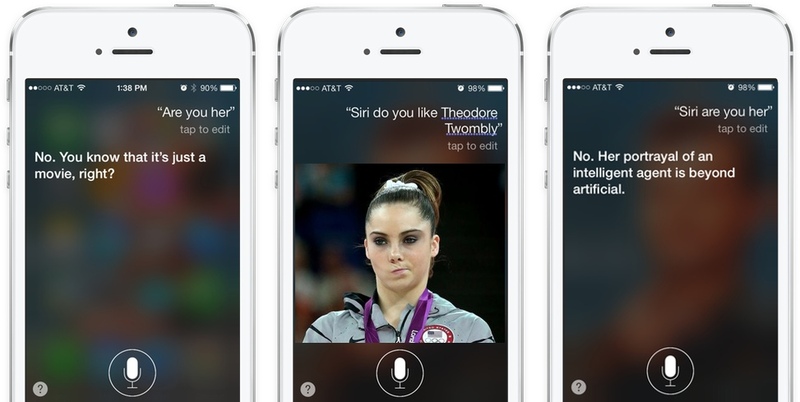 However, there is no question Siri is impressed enough by the notional concept — art imitating a “real life” digital assistant and then the digital assistant providing “her” snarky takes on the art — that she has multiple opinions on the subject. Yeah, that’s getting a little too deep into the weeds, isn’t it?